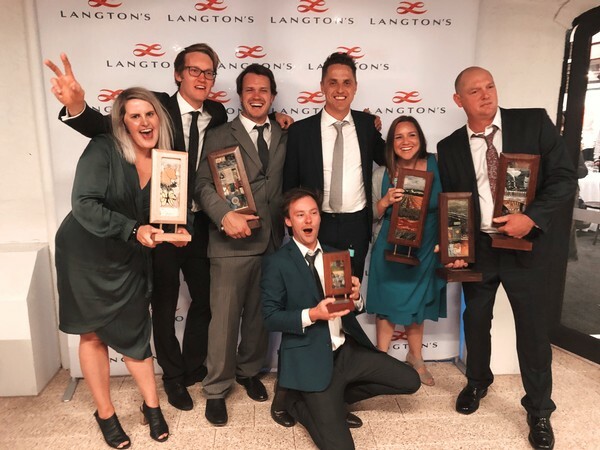 Stella Bella Wines wrapped up a succession of wines shows awards from this year’s wine show season with yet another outstanding series of wins at last night’s Langton’s Margaret River Wine Show. Taking home a total of six trophies including Best Wine of Show, Best White Wine and Best Chardonnay of Show for the first ever vintage of the 2017 Suckfizzle Chardonnay in addition to the Best Cabernet Blend for the 2017 Stella Bella Cabernet Merlot. Topping it off Stella Bella was awarded Most Successful Exhibitor and Stella Bella Viticulturist Steve Martin was recognised for his excellence as Viticulturalist of the Year. Stella Bella has been cleaning up awards over the past few weeks. 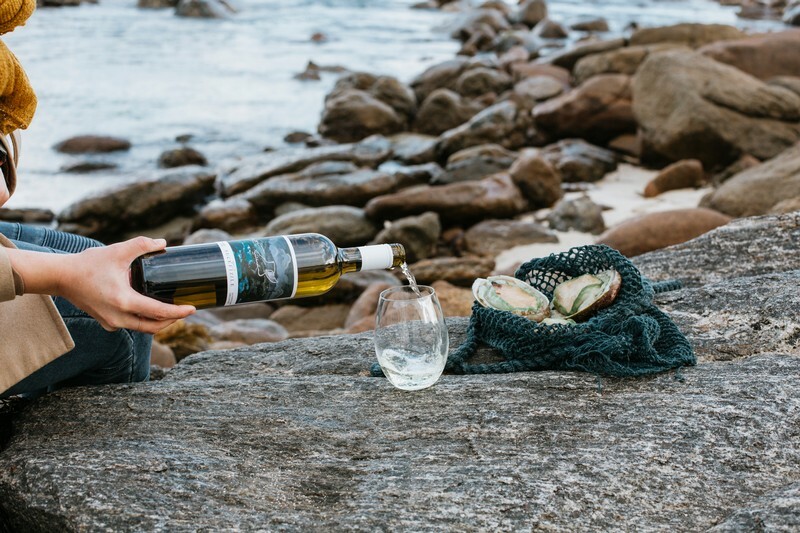 The first ever vintage of Suckfizzle Chardonnay has had a rapid ascent into notoriety, gaining national recognition as the Best Chardonnay from Margaret River at the 2018 Langton’s James Halliday Chardonnay Challenge. The 2017 Stella Bella Shiraz took our Best Wine, Best Red Wine and Best Shiraz of Show at the Wine Show of Western Australia and finally the 2016 Suckfizzle Sauvignon Blanc Semillon was awarded the trophy for Best Sauvignon Blanc Blend on the 2018 Royal Melbourne Wine Awards. Celebrations Run High for Stella Bella Fifth Trophy Win! Last night’s prestigious Royal Melbourne Wine Show Awards saw Stella Bella awarded its fifth trophy in a matter of weeks. In yet another successful salute to Stella Bella’s Suckfizzle Sauvignon Blanc Semillon, this small batch 2016 vintage was awarded the Trophy for Best Sauvignon Blanc or Semillon and Sauvignon Blanc. This trophy highlights the sheer quality and distinctiveness of this unique single-vineyard wine after the 2015 vintage was named the Best Semillon Sauvignon Blend with 97 points at the 2019 Halliday Wine Companion Awards in August. In addition to its highly acclaimed international recognition of a Platinum Medal and 97 Points at the 2018 Decanter World Wine Awards in May this year. Stella Bella is having one of its most successful years on record, continuing its height of recognition in some of the country’s best wine competitions. The first ever vintage of the Suckfizzle Chardonnay won the Margaret River Regional Trophy for the Best Chardonnay in the 2018 Langton’s James Halliday Chardonnay Challenge, scoring a total 96 out of 100 points. 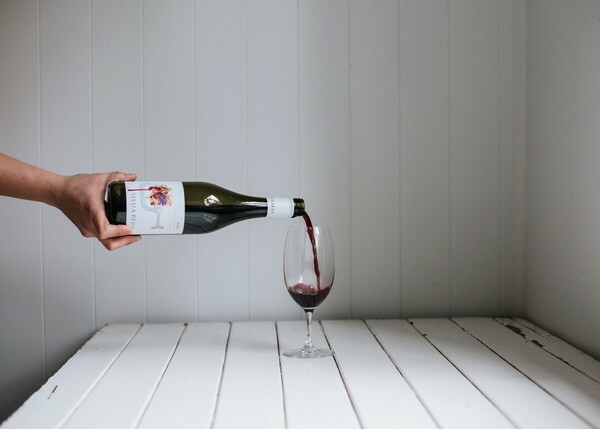 The 2017 Stella Bella Shiraz dominated the 2018 Wine Show of Western Australia, winning three trophies for the Best Wine of Show, Best Red Wine of Show and Best Shiraz of Show. Stella Bella was also honoured to receive a Gold Medal for the 2017 Stella Bella Shiraz at the Royal Melbourne Wine Awards. A Gold Medal for the 2017 Luminosa Chardonnay at the Wine Show of Western Australia. These results represent an unprecedented achievement with the credit going to Stella Bella’s talented and dedicated winemaking and viticultural teams. Introducing the first ever vintage of Suckfizzle Chardonnay. A smallbatch wine made from just three rows of Gin Gin clone Chardonnay planted in 1998 from the most southern and unique vineyard in the Margaret River region. Judged the Best Chardonnay from Margaret River in the 7th annual Langton's James Halliday Chardonnay Challenge. The 2018 competition involved 544 entries judged blind in regional categories. From this record amount of entries, 28 Gold Medals were awarded. With a load of character and flavour, this incredible fruit was hand-picked, whole bunch pressed with solids and wild fermented into French oak barriques for 10 months with minimal battonage. Unfined and unfiltered to show the raw power of this vineyard. The prevailing winds which come directly from Antartica and the moderation of the site by the Hardy Inlet create distinction and character in this wine. Salty, sea-sprayed fruit contributes to a unique and complex oyster shell character. White nectarine, grapefruit pith, lime rind and smoky oak round out the generous nose. Incredible power of fruit. Textured and mouthwatering, there is obvious chemistry between the fruit and the oak. Flavours of crushed lime, lemon and sea salt. Lively mineral acidity and layered texture. Hat-trick for Stella Bella Shiraz. Stella Bella Wines shone at the 2018 Wine Show of Western Australia taking out three trophies for their 2017 Stella Bella Shiraz. Best Wine of Show, Best Red Wine of Show and Best Shiraz of Show. The Wine Show of Western Australia was established in 1978 and is the state’s premier wine show, which exclusively judges the best Western Australian wines. Held annually in Mount Barker the 2018 show was the biggest competition with 834 entries from 115 producers. In accepting the award at the Trophy Awards Lunch Chief Winemaker Luke Jolliffe said, “we are honoured to take out the prestigious Singapore Airlines Trophy for the Best Wine of Show and to gain so much recognition for this wine”. Also highlighting the exceptional quality of Stella Bella’s southern Margaret River vineyards the 2017 Luminosa Chardonnay celebrated a gold medal. According to Chief Judge Samantha Connew this was a very competitive category of world-class Chardonnay producers from Western Australia. Suckfizzle - A name and a story with a sense of fun and serious substance. A range of wines that are iconic, unique and unmistakably - Suckfizzle. ‘Rabelaisian’ is an adjective that means raucous, ribald, bawdy, even debauched. It probably owes as much of its inspiration to Rabelais’s character the Great Lord Suckfizzle as to the writer himself. Merriam-Webster says Rabelaisian describes someone or something that is “marked by gross robust humour, extravagance of caricature, or bold naturalism”. Suckfizzle, a sub-brand of Margaret River winery Stella Bella, is pretty tame in comparison. Perhaps it all depends on how you use the product. Suckfizzle has for some time been a flagship brand of Stella Bella; what was less understood is that it’s always been a single-vineyard wine. 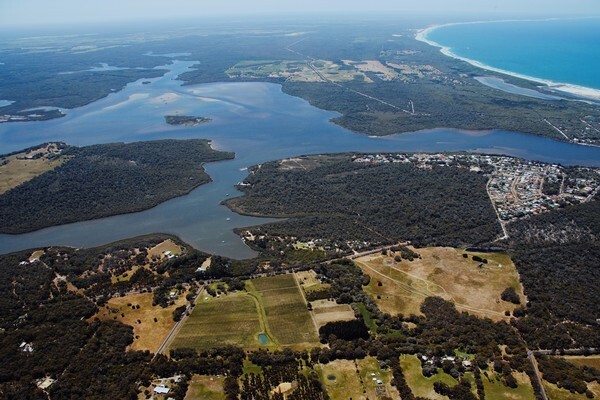 Moreover, that vineyard is located at Augusta, which is as far south in the Margaret River region as you can get without floating off towards Antarctica. The vineyard is actually in the Augusta township. Winemaker Luke Jolliffe explains that it’s much cooler down there than in northern and central Margaret River. Indeed, there’s a four to five-degree difference in maximum January temperatures between Augusta and Wilyabrup. The vineyard was planted in 1988 and Stella Bella has a long-term lease on the property. The first Suckfizzle vintage was 2008. 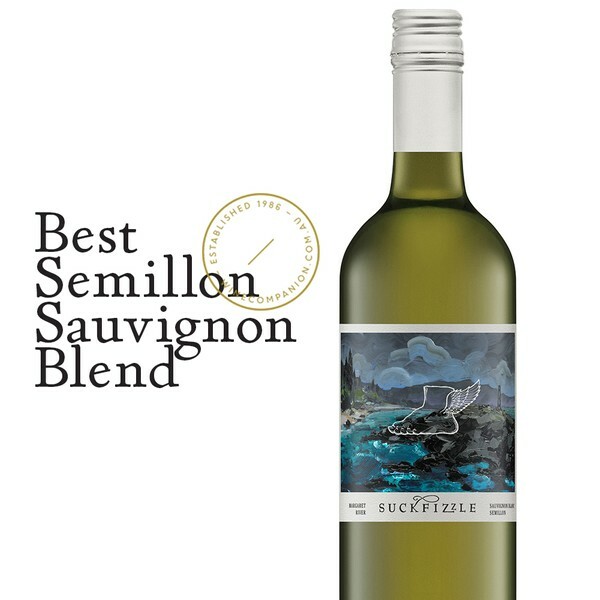 Suckfizzle has consistently produced a sauvignon blanc semillon blend (the 2015 is about to be released at AUD $40), and an occasional cabernet sauvignon, but this year for the first time there’s a Suckfizzle Chardonnay: the 2017 will be released on November 1st at AUD $62, priced just below the flagship Stella Bella Luminosa Chardonnay (the 2017 will be AUD $65 when released in early October). The Suckfizzle Chardonnay is a beautiful wine, with a certain salty, sea-brine character in addition to its cashew and citrus notes. Luke Jolliffe describes this character as ‘estuarine’ and believes the salty sea air influences the bouquet of the Suckfizzle wines. This strikes a chord: in the Wallcliffe area, cabernet sauvignon often displays a peaty, iodine-like note which evokes descriptors such as seaweed and nori. Indian Ocean terroir? Back to Augusta. Jolliffe says the Suckfizzle soil is quite different from anything else in Margaret River: it’s alluvial soil over lateritic bedrock – an old river delta. Jolliffe also sees this saltiness in the 2015 Suckfizzle Sauvignon Blanc Semillon, although the strident varietal characters of these grapes undoubtedly dominate the wine. It has a guava, tropical note as well as cumquat and orange citrus notes, embellished by a little flinty, smoky sulfide. Happily, the oak influence is lower than in previous vintages. As a kind of footnote, because they are from the company’s Isca vineyard in Margaret River proper, Stella Bella’s two new Luminosa wines are exceptional. The 2016 Cabernet Sauvignon(AUD $90) is beautifully balanced, delivering power with great elegance, and the 2017 Chardonnay (AUD $65) is classic Gingin-clone Margaret River: concentrated grapefruit, cashew and almond meal. All Luminosa wines are from the Isca vineyard, which is on Gnarawary Road, opposite Leeuwin Estate – another outstanding terroir. The Suckfizzle story began in 1997 with the first vintage of a single vineyard Graves style wine modelled on Domaine de Chevalier from Bordeaux. Today it is a wine with a long and prestigious history that has ultimately been recognised as the Best Semillon Sauvignon Blend in Australia. Every year, James Halliday and his tasting panel pinpoint the best Australian wines, winemakers and wineries from a pool of several thousand. Out of the 1216 Australian wineries profiled for the 2019 Halliday Wine Companion 232 wineries (8.2%) received a Five Red Star Rating. We are thrilled to reveal that once again we sit amongst the best Margaret River wineries with our 12th consecutive Five Red Star Rating, confirming our consistent record for quality and excellence. In looking at these points, remember these are some of the best of 9289 wines tasted for the 2019 edition. A surprisingly subtle chardonnay for the region, with fermentation in oak followed by settling in tank. Stone fruit hints, wild yeast pungency and crisp mineral energy. A swather of vanillan oak, barley detectable. The beauty her is in the detail, venosity and compelling length. This is benchmark proprietary cabernet. Mid to full weighted, it exudes regional pastille and olive DNA, melded effortlessly to currant, plum and bay leaf notes. The tannins are palpable, albeit massaged to the gentler side in the name of mid-tern ageability and savour. Has it both ways: tropical fruits of all kinds headed by sauvignon blanc’s passionfruit on the bouquet, palate and finish, semillon’s firmer hand on the tiller throughout the journey providing shape and textur e. Great value, of course. Ripe, plush and a bit bolshie of oak and assertive, edgy tannins around the seams, this is a premium cabernet in every sense aside from its position just outside of the top tier across an extensive range. The 18 months in French oak and patience should smooth its edginesss. Meanwhile, enjoy flavours of bitter chocolate, currant and bay leaf. While cabernet is the recognised postcode, some shiraz still stand out in the region. This is one of them. Violet, purple fruits and anise are scuttled across the mouth by pins of peppery acidity. The tannins are a meer waft, providing a platform across which the fruit flows effortlessly. There are no unwelcome hints of reduction that plague so many in the region. Our 2018 Stella Bella Sauvignon Blanc has landed the TROPHY for best Sauvignon Blanc in show at the Royal Queensland Wine Show. 100% Sauvignon Blanc. 50% old oak. Bursting with tropical fruits of passionfruit and guava. Complex palate with racy acidity and a touch of savouriness. This vintage is the epitome of Southern Margaret River Sauvignon Blanc. For 141 years, thousands of Australian winemakers have entered the nationally esteemed Royal Queensland Wine Show (RQWS) — the first capital city wine show held in Australia each year and the first to judge the new season's vintage. Built upon longstanding traditions celebrating excellence in wine, this prestigious show continues to garner success by paying close attention to consumer interest and current industry trends. To view the full show results click here. Bright. Brilliant. Full of light. Stella Bella Luminosa wines are distinguished and reflective. Handmade and created in small batches. Each wine is created to evolve beautifully over time and made only in exceptional vintages. A new label design, a new name and another refined, elegant and textural vintage of southern Margaret River Chardonnay. We are very proud of our recent results in the 2018 Decanter World Wine Awards held in London. With 275 judges + 16,903 wines + 50 Best in Show Medals + 149 Platinum Medals + 240 Gold Medals. Stella Bella received 2 of 20 Platinum Medals awarded to Australian wines. The only 2 Platinum Medals awarded to Margaret River wines.